The U.S. Junior Championships kicked off with a bang. 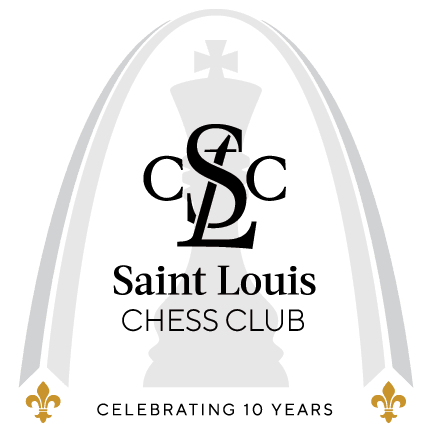 Tournament favorites faced off in both the Junior and Girls’ Juniors sections, and half the games ended decisively, including a Grandmaster upset. The most exciting game of the day was between Advait Patel and Annie Wang, which featured dynamic and imbalanced play throughout. Patel was better out of the opening, and Wang decided to give up an exchange for a pawn. Initially, Wang seemed to have sufficient counterplay due to Patel’s loose pieces and shaky king. In fact, at one point, Wang missed a key attacking opportunity of 36...Qd7, attacking the weak d4 pawn while eying ...Qb7. However, when Wang reached time trouble, she blundered and had to resign. Akshat Chandra, unfortunately, fell to a similar fate. He faced the bottom seed, Alex Bian, and held an advantage for most of the game. Chandra ended up pushing too much for the win, even in the face of time trouble, which commentator GM Robert Hess referred to as “a staple of his chess game,” and blundering. Peaceful results occurred for the top 4 seeds of the tournament: GM Andrew Tang drew against GM Awonder Liang. 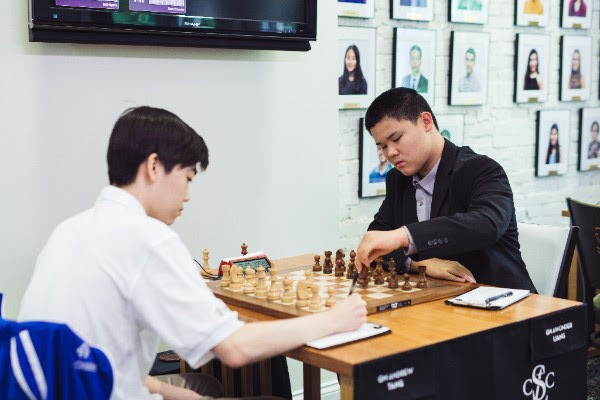 GM Hess noted that Tang’s solid opening choice as white (The London System) was a sign of respect to reigning champion Awonder Liang. Mika Brattain drew comfortably with black against GM John Burke. IM Praveen drew against GM Ruifeng Li in a game that was level throughout. 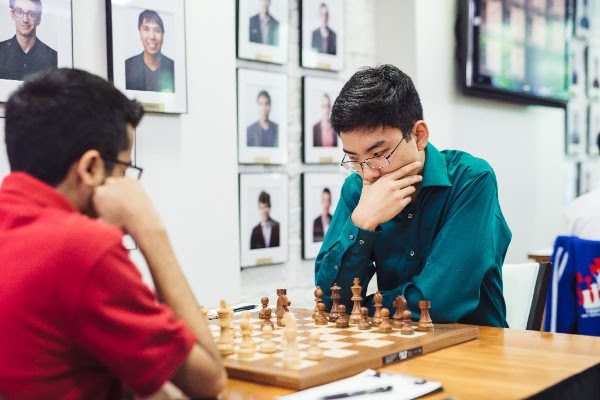 This means that, despite having five grandmasters in the field, IM Advait Patel and FM Alex Bian lead the championship! The Girls’ section certainly started off with an exciting duel as two favorites, Jennifer Yu and Maggie Feng, faced each other. 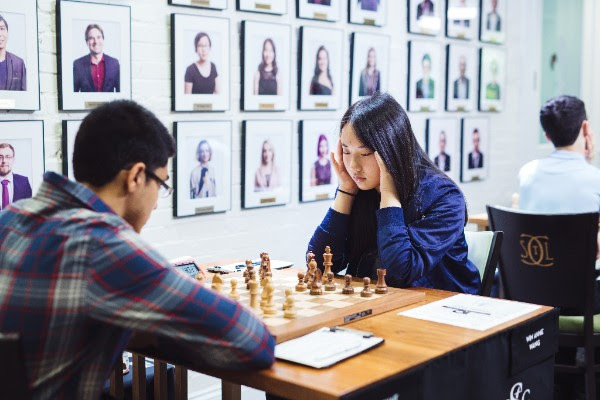 Jennifer Yu was better prepared in the sharp French Defense that arose, and she gained a significant endgame advantage because of it. From there, the game was a beautiful show of technique. Yu converted her better structure and more active pieces into an extra pawn. One pawn became two, and then Yu’s kingside pawns gradually ventured across the board until Feng could not prevent one from promoting and threw in the towel. 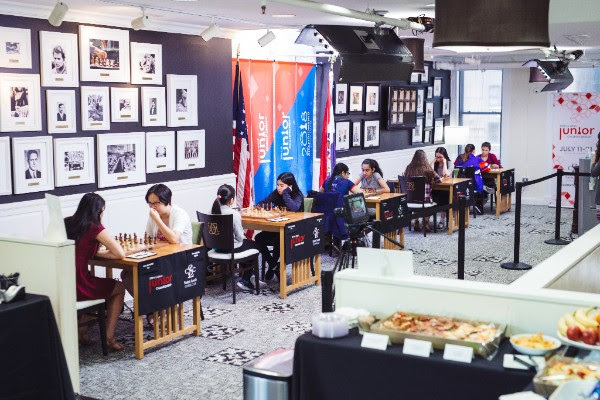 The game between the youngest player, Rochelle Wu, and U.S. Girls’ Junior veteran Carissa Yip featured a thrilling king attack. Yip gained a lead in development while Wu overextended on the queenside. When Yip was able to open up the center and prevent Wu from castling, the finish became a forgone conclusion. Yip found a key tactical breakthrough, and it was all over. 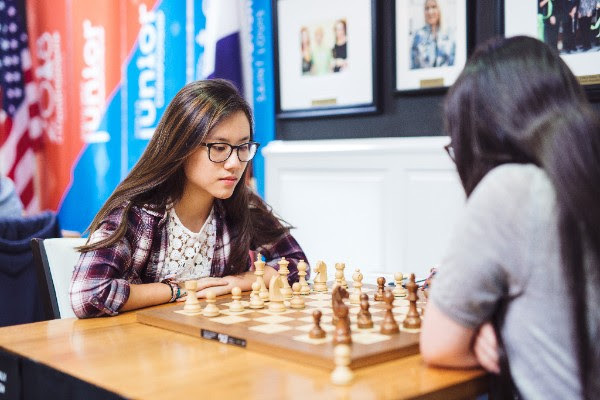 2016 U.S. Girls’ Junior Champion Emily Nguyen also started on the right foot, outplaying Sophie Morris-Suzuki to gain a dominating position and then capitalizing tactically when Morris-Suzuki fell into time pressure. Sanjana Vittal vs. Martha Samadashvili and Nastassja Matus vs. Thalia Cervantes finished in draws. Cervantes-Matus had a tricky knight pair vs. bishop pair imbalance at one point, but a minor piece exchange led to a level game, and they agreed to a draw. Jennifer Yu, Carissa Yip, and Emily Nguyen currently share the lead. Will Maggie Feng, the only tournament favorite to suffer a loss, be able to rebound tomorrow?